Enlighten The World & Get Paid For It! The term Akasha comes from a 5000 year old Sanskrit language which means “hidden library”. This secret hall of information, called the Akashic Records, can be revealed by diving into the subconscious mind in a deep state of meditation. The Akasha is an actual subatomic quantum energy field of information which can be found within everything in this Universe. When you are connecting with this subconscious highway you have access to all sorts of information about all people and things. Perhaps the Akasha may be better understood in this day and age as your own internal Google browser for the Universe, where you can ask any question, and access whatever you most need to know about yourself or anybody else. Your Akashic database of information is available here now in this present moment of your life. When you find the patience to bring the mind into total stillness and silence, its doors will swing open to you. Just stop all efforting in the outer world, let go of all your attachment and avoidances, and look deep within. The Akasha must reveal itself to you when you are empty of all thought, it has no other choice. There is nothing more amazing than bathing in the infinite river of cosmic consciousness, it is your very nature. When your mind merges with the Akasha, you discover a subconscious connection to your soul. You’re able to pull up specific information about your soul’s journey and mission that can bring a profound state of peace into your life. It is your innate ability to dive into the subconscious mind so that you can heal yourself from past karmas and societal conditioning that keeps you living in a small limited version of who you really are. When you receive the messages that your soul is most trying to communicate you, it instantly opens up more enlightening passages in how you think, perceive and experience yourself and this world. Enlightenment happens the moment you’ve dropped the illusions about who you are, and step into this vast unlimited Self that is the truth of your infinite being. The easiest time to enter this Akashic awareness is just before you wake up in the morning. You’re already in between worlds, so you merely set the intention to remain in this infinite gap. Through much practice of meditation you can bridge this gap and read what’s in this massive informational databank without losing consciousness. When you step beyond the incessant desiring mind and into the freedom of pure silence, we can hear, see and feel this information as if God herself were whispering to us! The information you’ll experience in an Akashic Reading is much more than a psychic reading, it is glimpse into your Soul’s path, mission and destiny. We each have access to this database because we are intimately connected to it through our subconscious mind. Yet, like a radio that can be attached to a certain channel, can sometimes get int way of other information that wants to be heard. All our problems stem from this over-attachment to the busy mind. When you can find this simple freedom from this over-active mind that is always thinking about the 3D world, you’ll discover a profound peace inside and be instantly liberated from any problems or blocks you’re facing in your life. Since 1997, I’ve given over 3500 Akashic Soul Readings for people from all over the world. 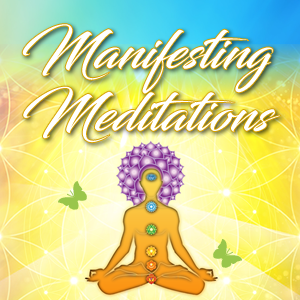 People asking all sorts of questions about how their life, relationships, money and soul’s purpose have discovered a new understanding of themselves that helped with liberating the limiting patterns of their mind. I’m very sad to say this, yet in the near future I won’t be giving these readings anymore. So I’d like to give you the option today to receive a personal Akashic Soul Reading from me while I’m still providing this service. 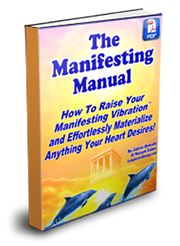 Click Here to Order your Akashic Soul Reading Now! If you wish to learn how to read the Akashic Records yourself, you can download the instructions and a guided meditation on MP3 audio that will take you into the Akashic Records simply Click Here to Download It Now!